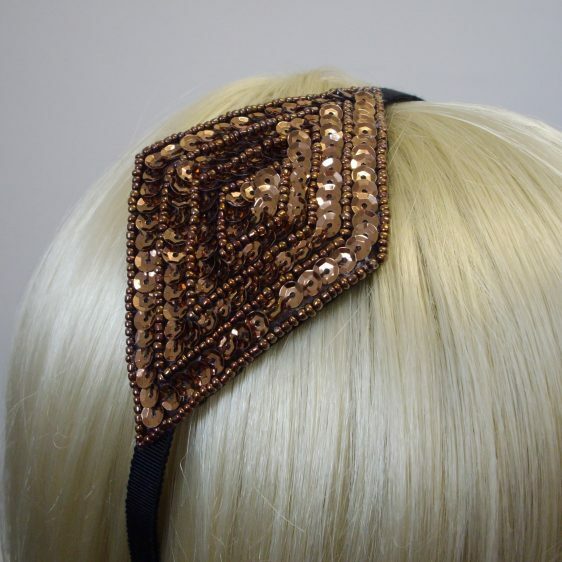 Bronze sequin and beaded diamond shaped motif mounted on a headband, perfect for setting off any LBD. 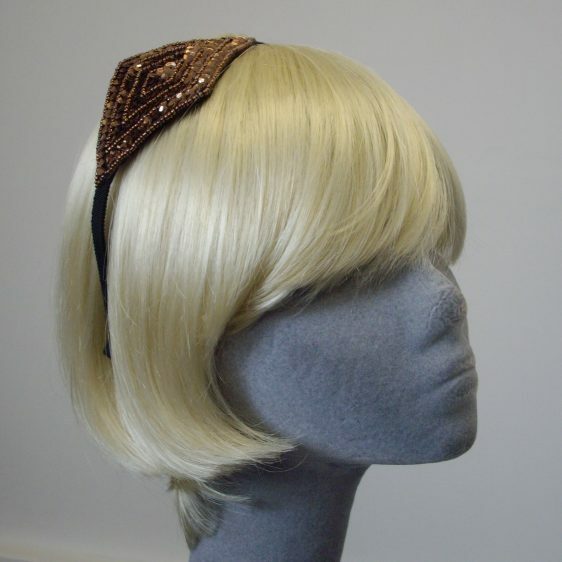 The black metal headband has been covered with millinery petersham for comfort and a little grip. 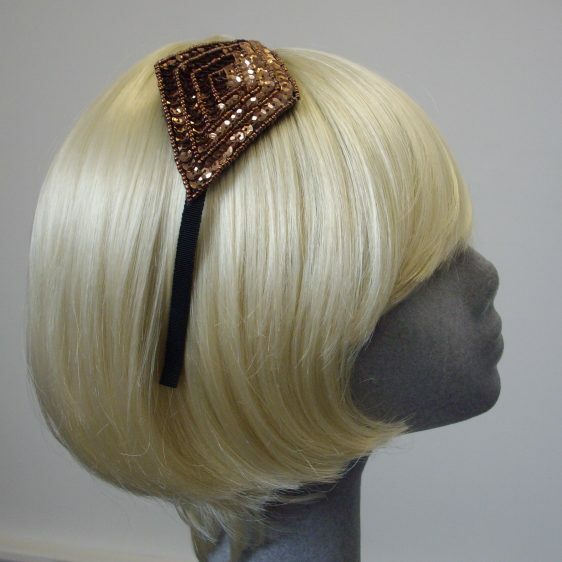 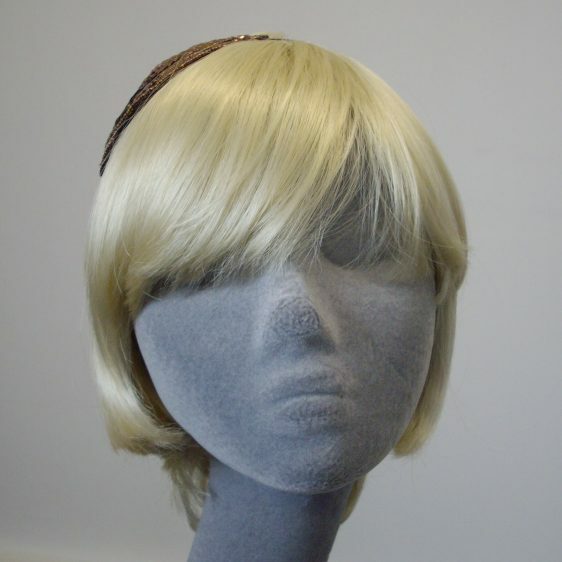 The sequin section of the hairband has been backed with black felt for comfort and to also prevent hair snags. 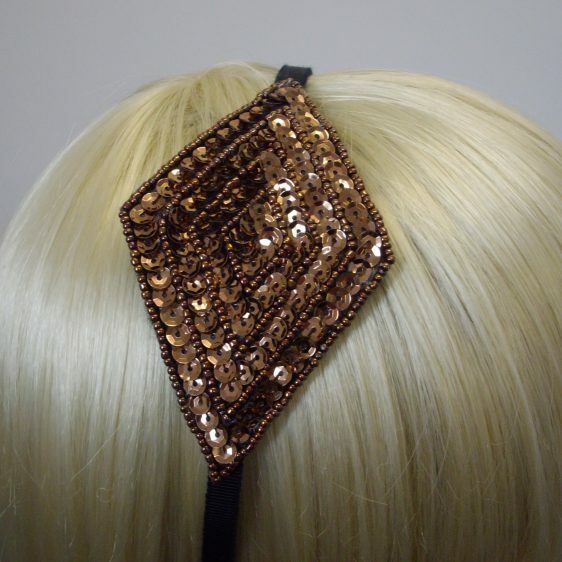 The headband is approximately 0.7cm wide (0.25 inches) The beaded decoration measures approximately 11cm (4.5 inches) and 6.5cm (2.5 inches) wide at its widest point.